Born in São Paulo, Brazil in 1962. Began playing and recording professionally at age fifteen in Lisbon, Portugal. Went to the USA at age eighteen to study music. Kansas (U.S.A.) in 1985 and received a post-graduate diploma in Film-scoring from Berklee College of Music in Boston (U.S.A.) in 1987. Currently undergoing a doctorate degree in Human Sciences. and attended seminars with Wynton Marsalis, Anthony Plog and Allen Vizutti. Performed as a leader of his own group and as a sideman in different clubs and festivals in the U.S, Europe, Asia and Africa. Played and recorded sessions with musicians such as: Jimmy Mosher, Aldo Romano, Tete Montoliu, Maceo Parker and the legendary drummer Walter Perkins. Appears as guest soloist with singers Mariza and Rui Veloso. 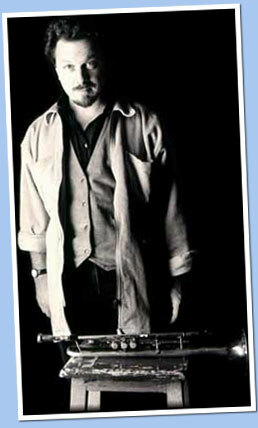 Received the "Art Farmer Performance Award" (U.S.A. 1984), as well as "Best Soloist 1990" award at the International Jazz Festival of Guetxo (Spain), where his group was also awarded the "Best Group Award". 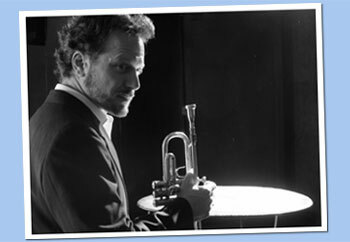 He was also awarded the "Best Jazz Musician of the Year 1996, Award" from the National Portuguese Radio (RDP). "Lisbon Cultural Capital ‘94", "World Expo' 98" and "Porto 2001 Cultural Capital". and contemporary music, for which he has been commissioned to write for groups such as "The Opus Ensemble", "Remix Ensemble" and "Seixal Chamber Group", as well as Jazz and Afro-Cuban music. Has also written the soundtrack to the feature film "Porto Santo", the multi-media show he created for Expo ‘98 "Quadrophenia of Time", the operetta "Sebastian the king-child", the large scale production "Augaciar; a trip to the end of our Millennium" and the musical"Women in Power". 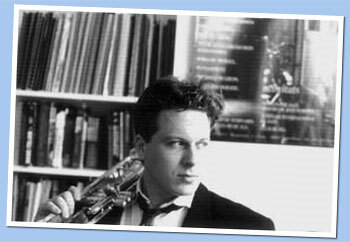 Currently residing in Lisbon, Portugal, Laurent works with the following groups of which he is the author: "Duo Iberia" (with Spanish pianist Pedro Sarmiento), "Tribute to Chet Baker", " The Song Band", "Mingus and More Sextet", "Flick Music" (film soundtracks) and the "Swing City Orchestra", dedicated to the swing music of the 30's and 40's.